Sixty to seventy million people in the U.S. suffer from gastrointestinal diseases and the best way to clinically diagnose the exact problem is to perform an abdominal ultrasound. However, the process is labor intensive and sometimes inefficient. To help solve the issue, researchers from Siemens and Vanderbilt University developed a deep learning-based system that can automatically interpret abdominal ultrasound images and detect organs and abnormalities. The researchers say this is the first deep learning system that uses an integrated system to classify abdominal ultrasounds automatically. 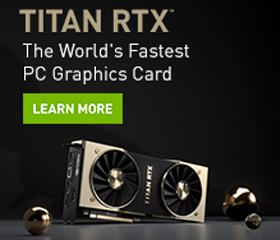 Using NVIDIA TITAN X GPUs and the cuDNN-accelerated PyTorch deep learning framework the team trained their system on over 187,000 images from 706 patients. 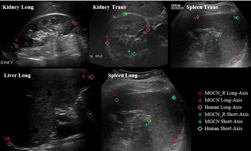 An overview of the tasks for abdominal ultrasound analytics. In each image, the upper left corner indicates its view type. If present, the upper right corner indicates the associated landmark detection task, and the pairs of long – and short – axis landmarks are colored in red and green, respectively. An icon is circled on one image; such icons are masked out when training the view classification. The neural network can perform view classification and landmark detection simultaneously. According to the researchers, the method outperforms the approaches that address each task individually. The paper was published on ArXiv on Monday.